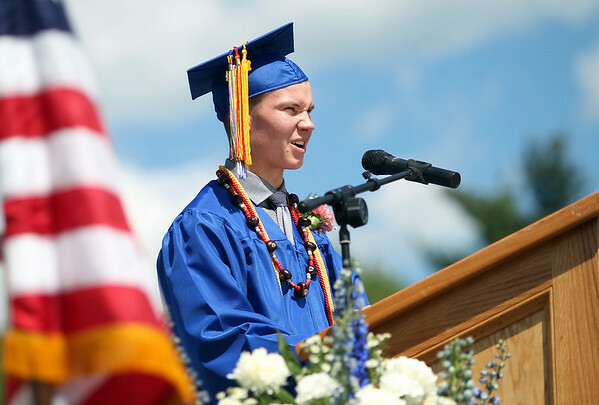 Danvers High School graduate Ryan Heber delivers his essay titled "Gibberish: An Art Form," to his classmates during graduation on Saturday afternoon. DAVID LE/Staff photo. 6/7/14.